Julie's Creative Lifestyle: Happy Memorial Day! Memorial Day is a US federal holiday where the men and women who died while serving the United States Armed Forces are remembered. 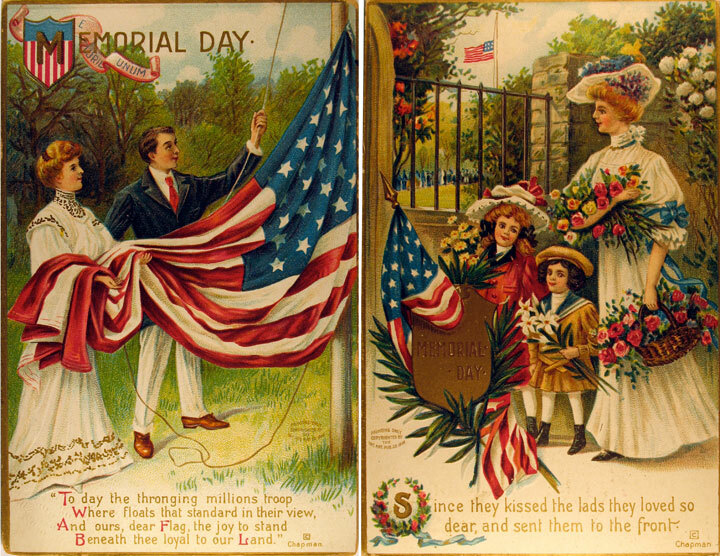 Love the vintage Memorial Day images! Hope you are enjoying the long weekend! Thanks for sharing some vintage Memorial Day! Thank you for this, sweet Julie. May we never forget. . . Have a blessed Memorial Day! Thanks so much for such a great post. Good Morning Julie, This is such a lovely thing to do, to stop, to think about and to celebrate the lives of service men and women who have died serving their country. I come from a service background, so this is very special to me. Although Memorial Day is dedicated to American Service men and women it is also reminding me of the people we have loved and lost due to military service. Have a good Memorial Day, Julie, thanks for sharing! Hope you had a great memorial day julie! I hope your long holiday was a really good one! We saw the parade and had a bbq. It was a good day for reflection and appreciation! © Julie's Creative Lifestyle: Happy Memorial Day!